About St Croix's Restaurants and Food... Succulent clawless Caribbean lobster, with a tail rich in pure white meat. Fresh caught mahi mahi (which is a fish locally called Dolphin, but is not the porpoise! ), served island style with pungent local spices. Today's catch of yellowfin tuna, broiled, baked, or perhaps with the chef's special Caribbean herb and spice mixture. Conch chowder for starters, key lime pie and Cruzan coffee for closers. And of course, aged Black Angus steaks for those who can travel but cannot go without! Dining on St. Croix is a magical whirl of gourmet chefs, local delicacies, open air seaside restaurants, moonlit nights, and no jackets required. 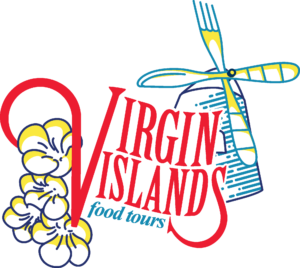 For a unique and fun food and cultural experience, enjoy a guided food tasting and cultural walking tour withVirgin Islands Food Tours .Their foodie excursion through historic Downtown Christiansted is filled with history, fun and delicious local cuisine you won't find anywhere else in the world. Did you know... Each April, St Croix restaurateurs host one of the most unique and exciting entertainment and culinary events in all of the Caribbean. The event, "A Taste of St Croix", came about as a way to showcase the diverse and wonderful eateries of this spectacular island. For such a small place, St Croix boasts some of the region's finest culinary talent. With over 40 chefs competing for top honors in seven food categories, the event is a gastronomical blast. 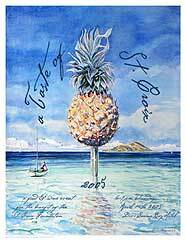 Click Here for our Taste Of St. Croix Section.